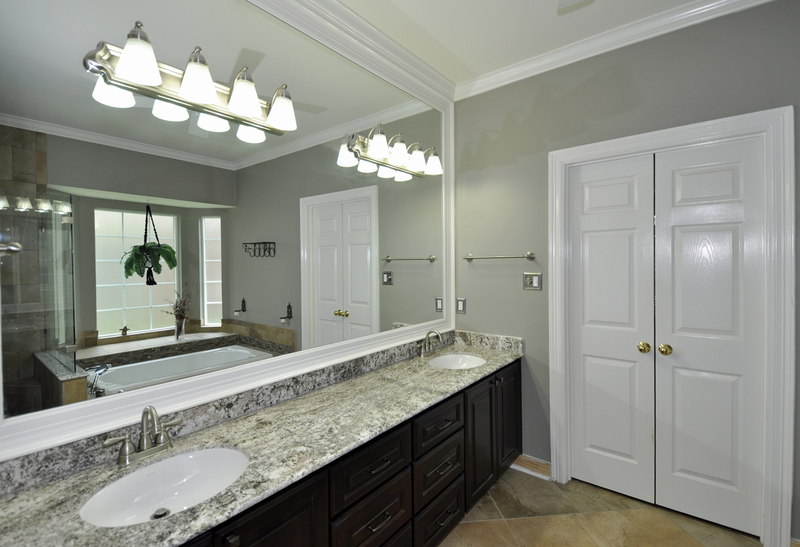 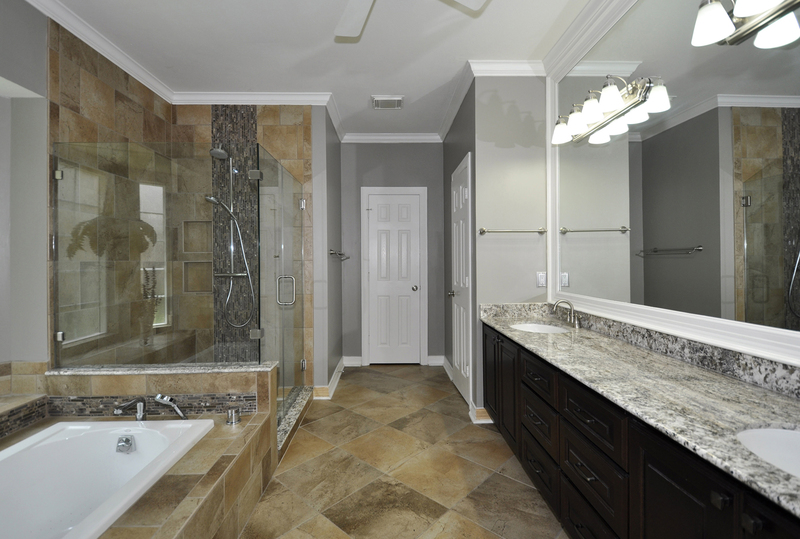 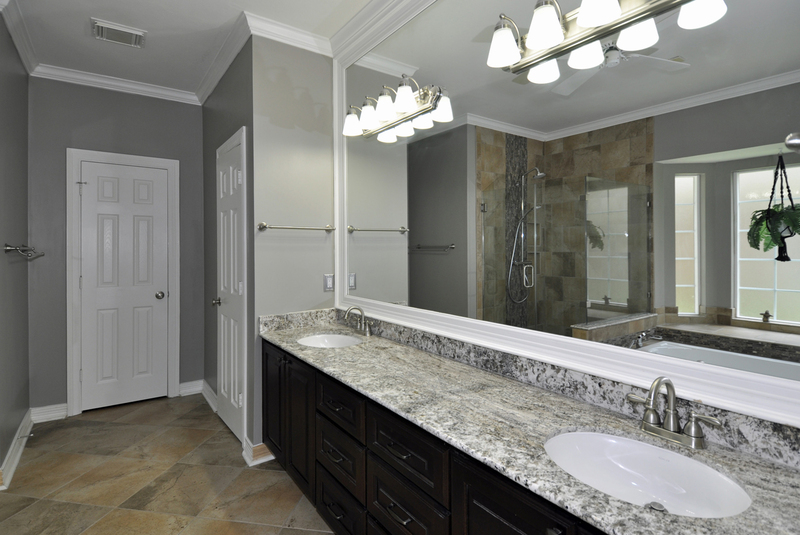 Warm tones in tile and cabinetry combine with cool tones in a granite countertop, accent tile, and paint to create a Resort Atmosphere. 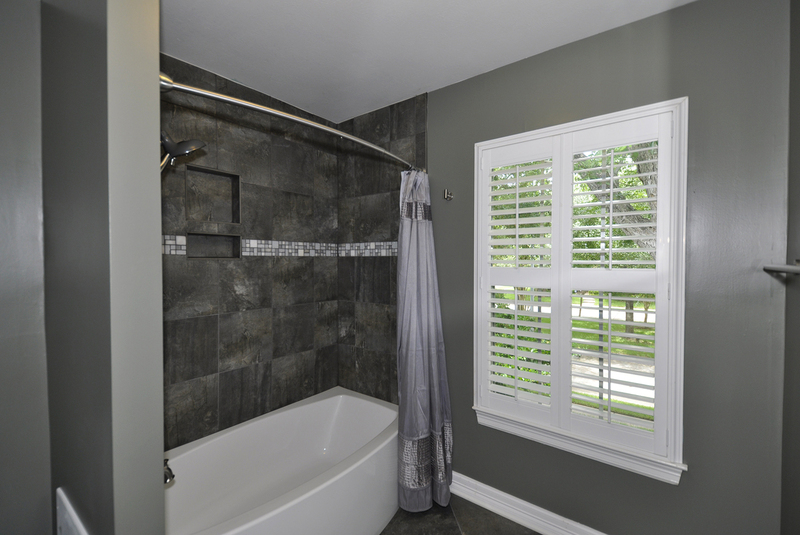 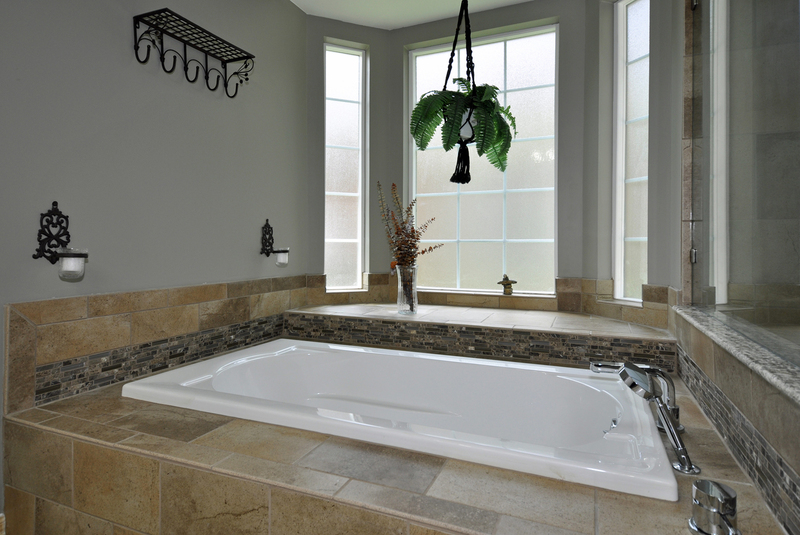 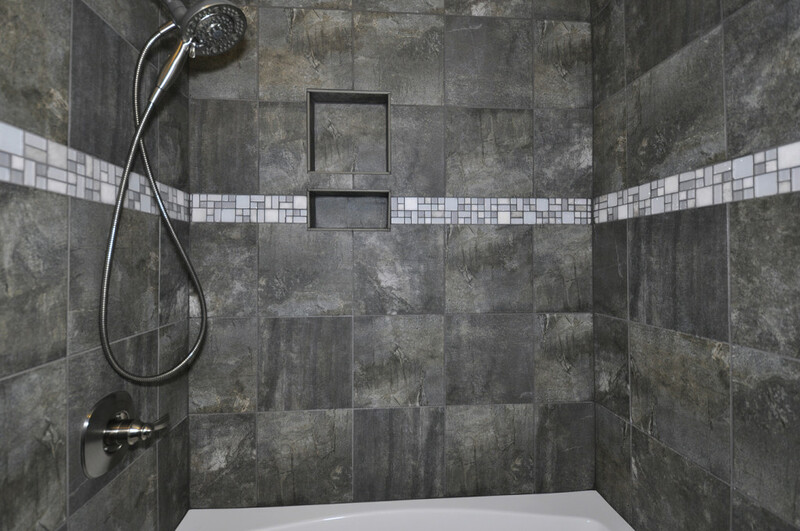 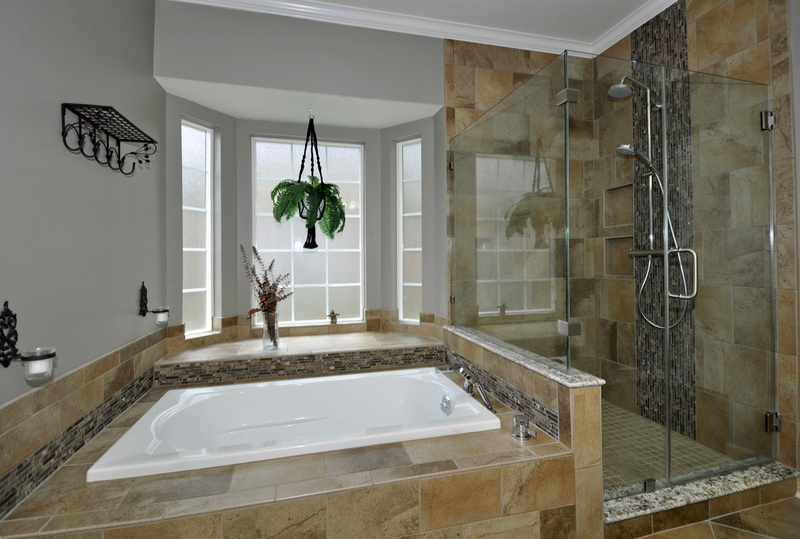 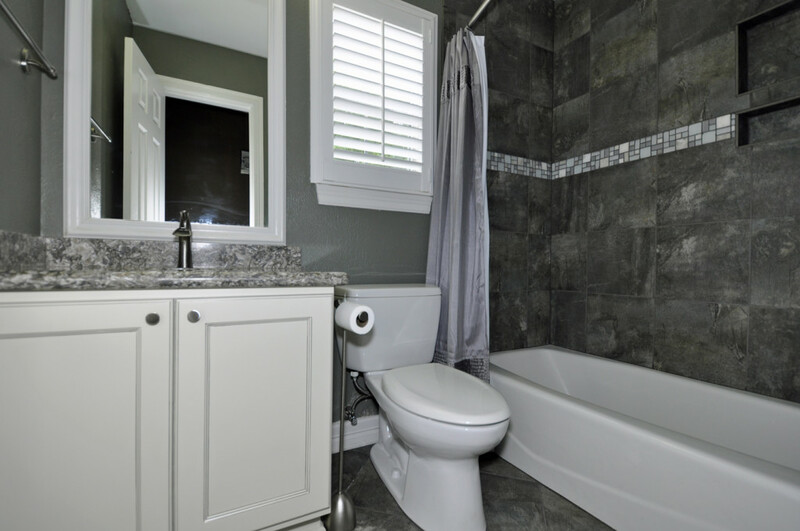 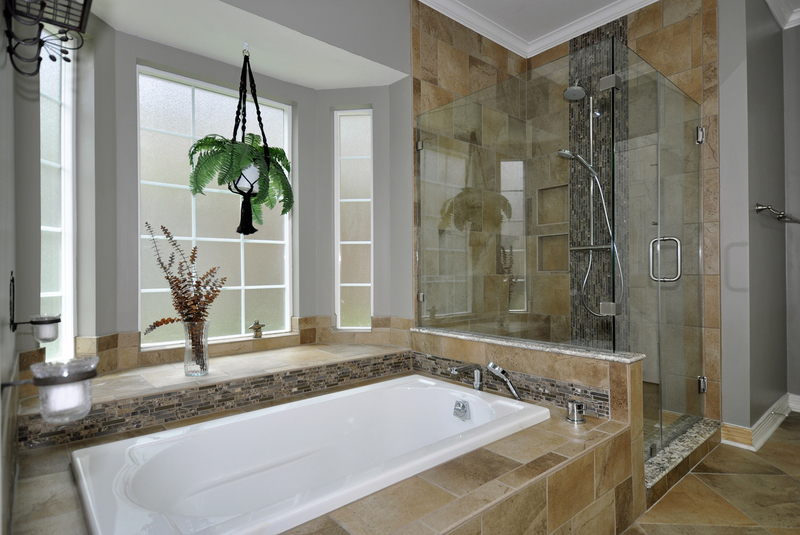 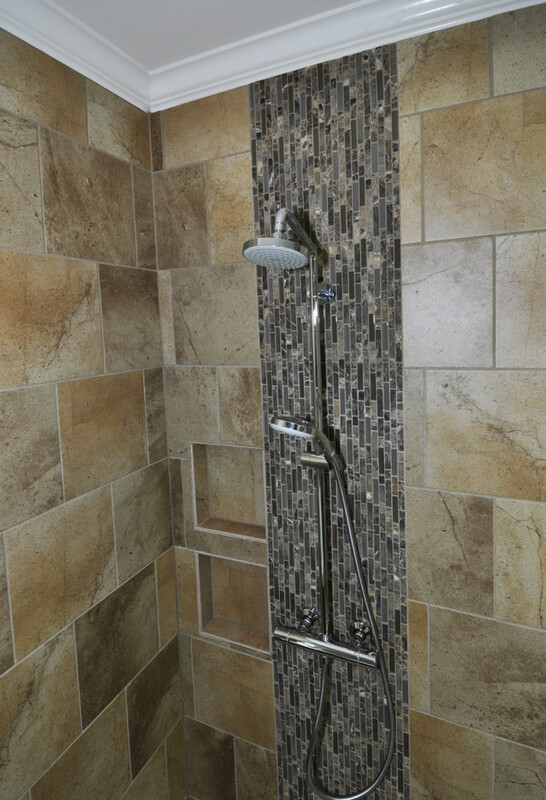 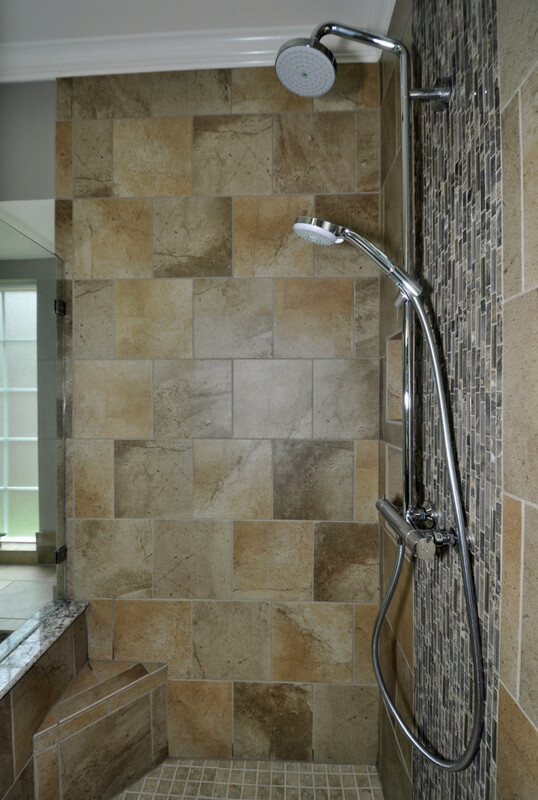 Hand held shower head and handheld tub fixtures allow for soothing soaking. Two shampoo niches provide ample room to keep things in one place. 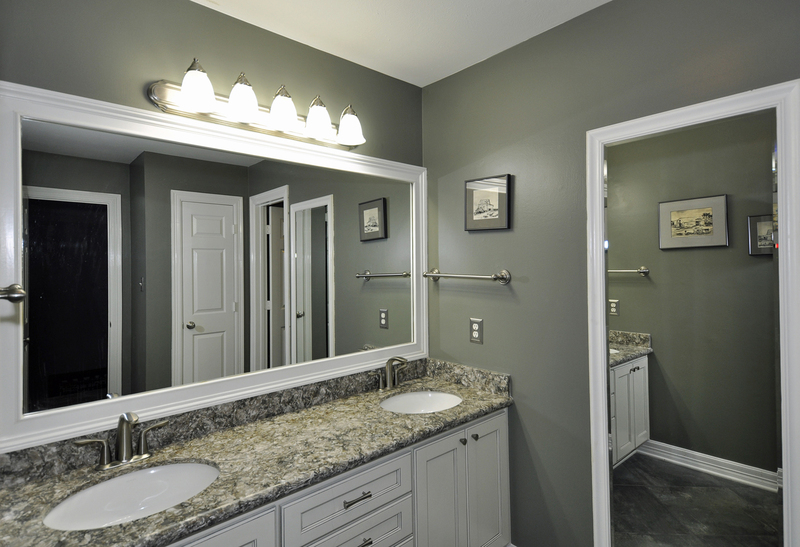 Cool framed mirrors compliment adjoining woodwork.